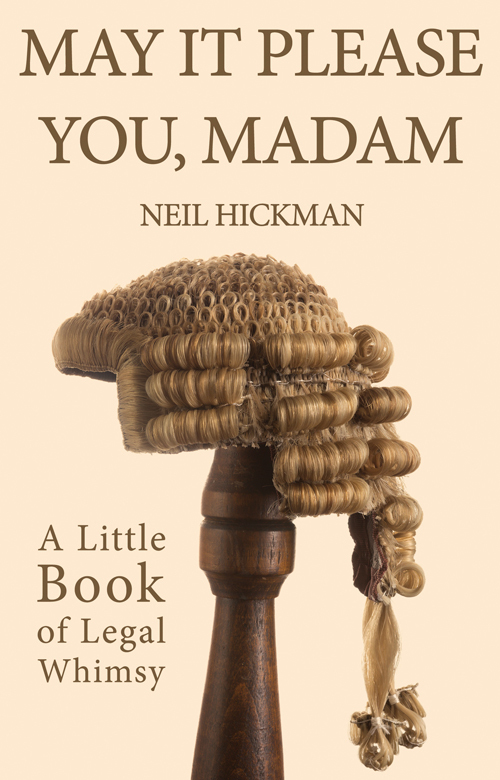 In the sixth in this series we a looking at “May it please you Madam” by retired District Judge Neil Hickman. This is not designed as a guide for advocates, indeed the subtitle is “A little book of legal whimsy”. This does do do the book justice, it abounds with stories of mishaps, mistakes a malapropism. We all need to know about all of these to ensure that we don’t make the same mistakes in the future , we can then innovate and experience mishaps and mistakes of our very own. That is why this book is worth buying. “If you wish to speak with your solicitor, kindly wait until you have left my courtroom”. This is another chapter and one that discusses the peculiarities of legal English. It also contains some interesting quotations on the judicial assessment of witnesses. “Rarely can a Court have been treated to such a parade of witnesses for whom truth, candour and insight were demonstrably such alien concepts”. Yes, this is actually a chapter heading. It covers many things. My favourite is an issue over the legality of the transfer of land. Counsel had given two opinions, the second opinion contradicting the first. “That, it is said, is the clearest evidence that the fee was much more than anything that could be described as commercial”. We have all made spelling mistakes, I am sure. Cut and paste also causes problems. So a Particulars of Claim that reads. “… The Claimant had been deprived of the use of the vehicle for shopping, social outings in the evening and taking children to and from school”. may well be perfectly appropriate in many cases. But not if the car in question is a panda car and the claimant was the Chief Constable. The chapter on experts makes interesting reading for litigators. A medical report on a five year old included the passage, “has photo ID been checked?”, the answer to what type of ID was “Photo driving licence”. There are entire chapters on bundles and Sedley’s Laws get more than a passing mention. “No – it’s what the man from the solicitors said I should say – but it isn’t true”. That turned out to be a very, very, short trial. I could go on. There are anecdotes a plenty and a large chapter on “judges” (who tend to play a part in the life of most advocates). However the main purpose of this post is to encourage you to read the book. However if there is one passage that highlights the perils of advocacy it is on the assessment of costs. “Oh dear, so I am”.